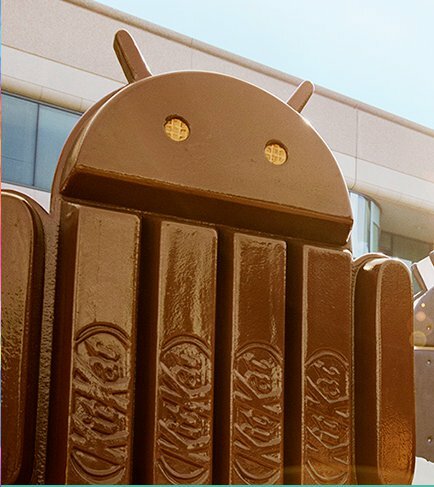 With Android 4.4 KitKat officially unveiled, fans of Google's mobile platform and developers are now waiting for the operating system to actually make its debut on the market. Although LG Nexus 5, the first handset to ship with Android 4.4 KitKat out of the box has been recently put on sale on Google Play Store, it will take a couple of days before the device reaches customers. Until then, Google published some of the most important features of the Android 4.4 KitKat operating system. Keep in mind that some of these features will only be available on Nexus 5, while others will be included on other devices powered by Android 4.4 KitKat as well. The first thing worth mentioning is the fact that Android 4.4 has been especially optimized to work smoothly on entry-level smartphones that come with only 512MB of RAM. Another interesting new feature has already been successfully implemented in Motorola Moto X and allows users to control the smartphone only by voice. Simply say “Okay Google” to start a voice search, get directions, or play a song. Other apps, such as the Caller ID app, have been improved to search for local business that match a number that you call, which is not included in Contacts. As expected, the Hangouts application has been enhanced and now allows users to send and receive SMS and MMS, but for the time being it is not integrated within the Google Voice text and voice messages. With Android 4.4 KitKat users will be able to print photos, documents, and web pages from their phone or tablet while on the go. According to Google, you will be able to print to any printer connected to Google Cloud Print, to HP ePrint printers, and to other printers that have apps in the Google Play Store. Other new features added in Android 4.4 KitKat include: Bluetooth MAP and Chromecast support, Chrome web view, Device management built-in, Infrared blasting, Low-power audio playback, and touchscreen improvements.